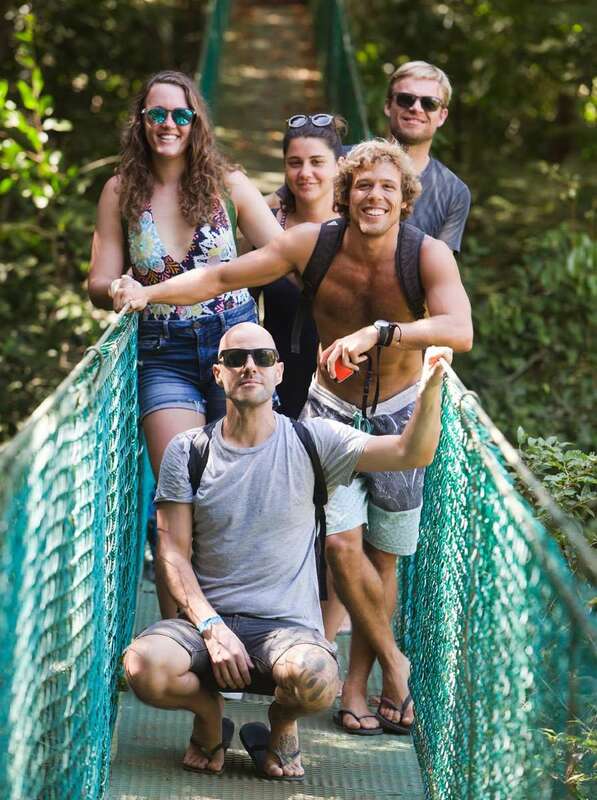 When you join us at The Perfect Sunset School for 3 weeks or longer, we are happy to include a free excursion of your choice to either Isla Tortuga, the Pacific Canopy, or the Montezuma waterfall canopy. Cruising along the coast for a breathtaking 50-minute boat ride is how you’ll begin your voyage to Tortuga Island. Jagged volcanic rock spills into the sea to create a dramatic contrast between the brown sand, red rocks and crushed shells that make up the variety of different beaches along the way. Spotting a group of playful dolphins, marveling at the enormous jumping manta rays, or, for the luckiest of visitors, catching a glimpse of surfacing humpback whales are just a few examples of experience with marine life that you are likely to have as we make our way to the island. Upon arriving at the tropical paradise of Tortuga Island, we anchor the boat within viewing distance of the white sand beach for our first snorkeling session. The crystal waters at Tortuga are surrounded by volcanic rock reef, which is home of the best snorkeling site on Costa Rica’s Central Pacific coast. King Angelfish, Porcupine fish, Morays, Needlefish, Spotted Eagle Rays and a myriad of other tropical beauties make for a phenomenal snorkeling experience. Not to mention the oysters your guide might find for a fresh ceviche on the beach! After your incredible snorkeling adventure, we take you onto the white sand beach of Tortuga Island. While lunch is being prepared you can grab a cold drink, take a stroll along the beach, or swim in the calm crystal waters. For lunch, our chef serves fresh BBQ fish or chicken in his secret sauce, tasty grilled potatoes and vegetables, bread and a fresh tropical fruit buffet. The rest of the afternoon is yours to enjoy. Take part in a volleyball game or rent a kayak to discover the other secluded beaches of the island. Or for the more adventurous, take a hike up to the top of the island for some spectacular views of the Gulf of Nicoya and the surrounding islands. Other options included joining us for a second snorkeling session at a different spot on the reef, or taking a siesta under the coco palms on the island. As the day comes to an end, we get back on the boat for the picturesque ride back to Montezuma. 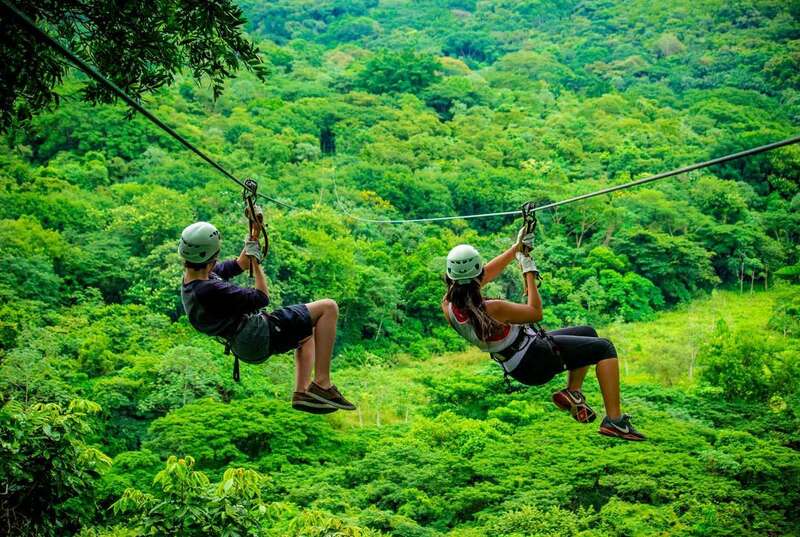 A fun and adrenaline filled way to get a taste of the rainforest and feel like Tarzan. The folks at Canopy del Pacifico will strap you in a harness and send you soaring over the treetops through a maze of zipline cables. Knowledgeable and amusing guides point out wildlife along the way, though moving so quickly means that you may miss much of the wildlife. 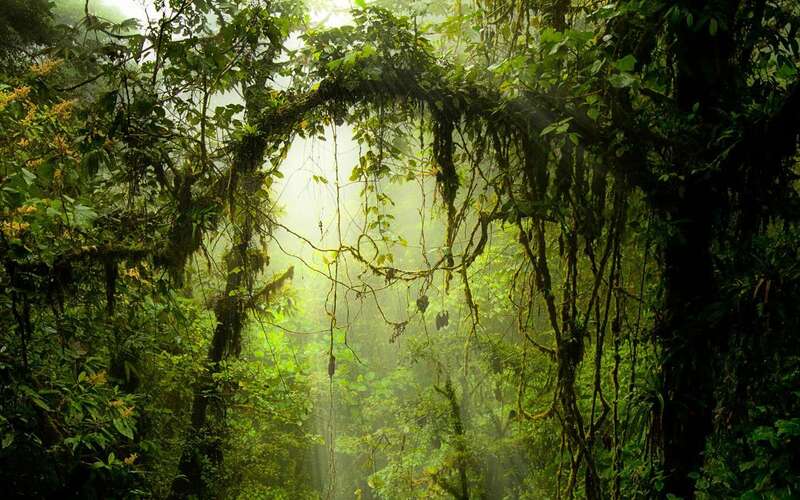 The Montezuma Waterfall Canopy Tour is one of the zone’s premier attractions. The canopy consists of a series of nine cables and eleven platforms suspended high above the forest floor. The guests glide along the cables using a pully and a breaking device. The local English speaking guides are experienced and are trained in First Aid to ensure that this tour is safe and easy for all visitors. While on the canopy tour you will see a number of plants and animals unique to Costa Rica, possibly including howler and white-faced monkeys, parrots, and iguanas. This reserve was created in 1963 and its tropical dry forest is in mutation to a tropical humid forest. The total area is 1,172 hectares. One of the trails leads you to the white sandy beach in front of the Island of Cabo Blanco and takes 4 hours. Paradise Tortuga Island is located on the Central Pacific coast of Costa Rica in the Nicoya Peninsula, which is surrounded by an abundance of dive sites, most of which are accessible within a thirty minutes boat ride. Our local dive sites offer white tip sharks, giant schools of grunt, yellowtails, spotted eagle rays, turtles, stingrays, angel fish, octopus, sea horses, starfish, frog fish and many species of eels. We have also seen whale sharks up to 35 feet long on numerous occasions, as well as, spinner dolphin, humpback whales, pilot whales, orcas, false killer whales and schools containing hundreds of Mobulas and thousands of cow-nosed rays. Isla Tortuga and its surrenders are famous around the world because is the only area in Costa Rica and Central America with three sank boats, where we provided one of the best diving adventures in Costa Rica. 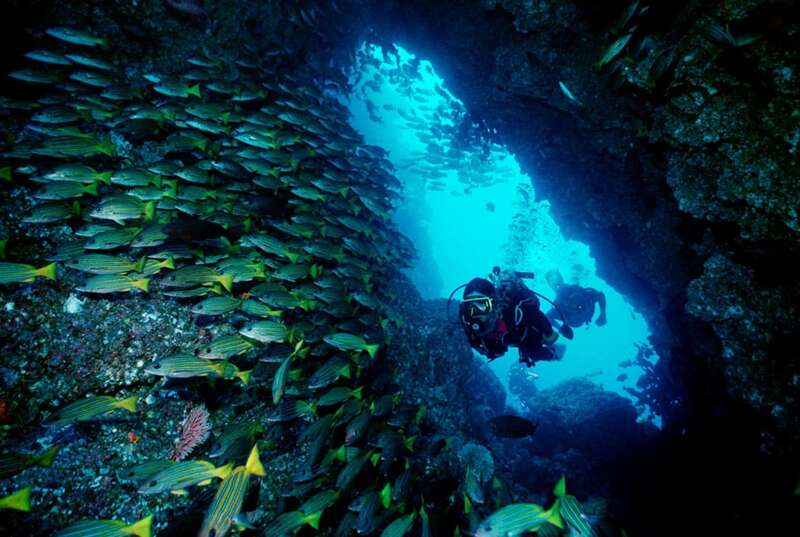 Average visibility ranges from 30 ft. to 50 ft. with possibilities of up to 80 ft. We dive volcanic rock formations and rock pinnacles There is an abundance of life among the rocks which can be seen on both day and night dives. The dive itself offers you the chance to explore the micro life, along with very large puffer fish, nudibranchs, gigantic slumbering parrot fish, lobster, tube worms, and seahorses. Located in the southern tip of the Nicoya Peninsula, Montezuma and the surrounding area have many hidden treasures to discover. This is the adventurous way to explore the pristine beaches and lush jungles as you take a self-guided tour on our ATV’s. Drive along country roads through tropical forests where you can spot monkeys, birds and other wildlife. Take some time to stop at one of the secluded beaches for a dip in the ocean or explore some of the refreshing rivers cascading through the jungles. Fishing trips originate in the nearby town of Cabuya. 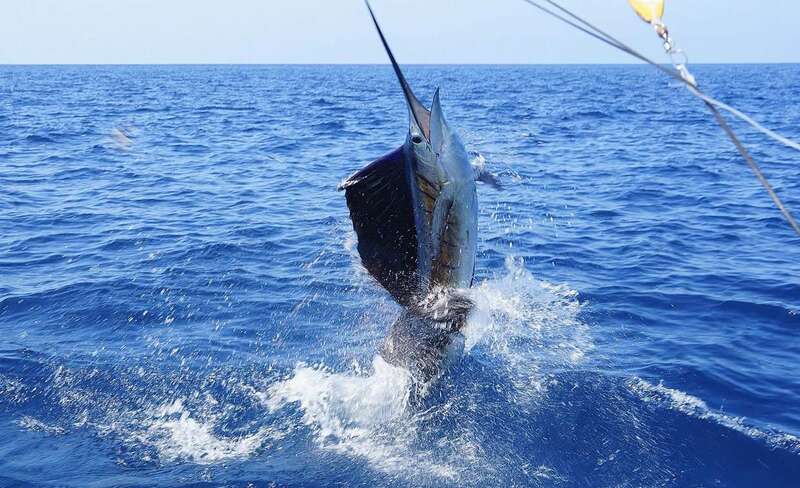 Your captain will be an experienced local fisherman and your catch could include tuna, mahi-mahi, snapper, grouper, roosterfish, or other game fish. Offshore, your captain will point out Isla Cabo Blanco, which is the nesting point of frigate birds. Bring your fish back to a local house and our local captain will prepare it for your dinner. Stand Up Paddleboarding is incredibly enjoyable and provides an excellent all body workout. The sport is easy to learn. Explore stand up paddling along the beautiful reefs and beaches of Santa Teresa and Mal Pais, Costa Rica. 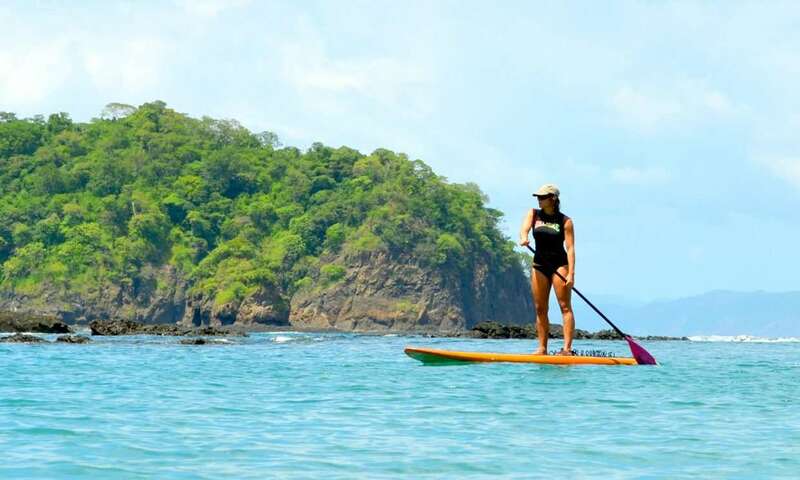 The Nicoya Peninsula’s lush coastline and clear waters are ideal for stand up paddling. There is no better way to explore the outer reefs while enjoying breathtaking views of the tropical coastline. With infinite coves, every location we take you to will be equally breathtaking.